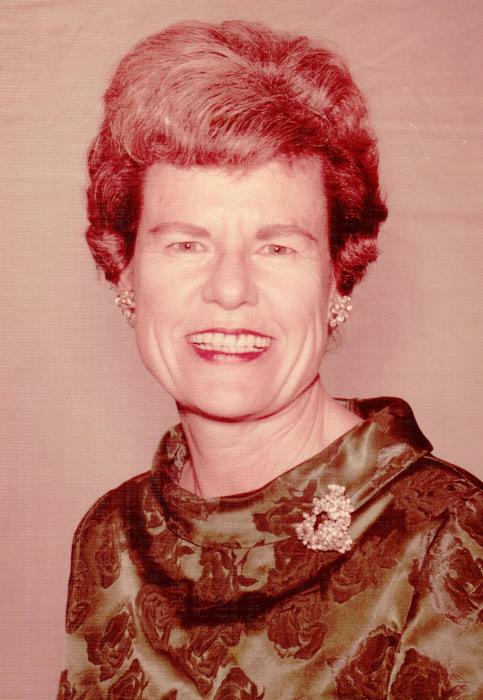 Frances “Fran” Loraine Schoffstoll, 95, of Quinlan went to be with her Lord and Savior on Tuesday, February 12, 2019 in Greenville. Funeral services celebrating Fran’s life will be held at 2:00 PM on Friday, February 15, 2019 at Ingram Funeral Home with Pastor Mark Moore officiating. Visitation will be held one hour prior to service. Fran was born on August 22, 1923 in Granger, Texas. She is the daughter of the late Herman and Oma Lee Rudolph. She was raised and educated in Granger. Fran met Louis ”Lou” Schoffstoll at a USO dance and they were married on May 10, 1946 in Temple, Texas. For the next 20 years she had a career as a military wife and they spent 3 years in Europe in the 1950’s before moving to Dallas in 1959. After retiring from the military in 1965 they had an active family and social life in the Lake Highlands area of Dallas. They had a lake house on Lake Tawakoni where many treasured hours were spent with family and friends. 1980 Lou retired again and they purchased an RV and traveled throughout the United States before moving to the Texas Valley and later to San Antonio before returning to Quinlan in 2003 to be near their daughter. Fran and Lou celebrated 70 wonderful years of marriage before his passing in March of 2017. She was also preceded in death by her son David at the age of 22 in 1972 and daughter Loraine at the age of 57 in 2005. She began oil painting to help channel her grief after the death of their son. She belonged to the Methodist Women’s Organization and was a past member of the Tawakoni Civics Club. She loved Texas Rangers Baseball, playing bridge, painting, sewing and working crossword puzzles. She is loved and will be missed by her daughter Karen Cadis and husband Allan of Quinlan; five grandchildren Matthew Starling & Donna, Christopher Starling & Laura, Brandon Starling, Vanessa Albright & Lonnie, Shannon Cunningham & Jason; and ten great-grandchildren. Memorials can be made in Fran’s name to her church at FUMC of Quinlan, PO Box 2590, Quinlan, TX 75474.